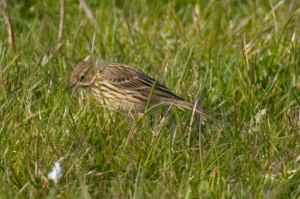 Observation - Meadow Pipit - UK and Ireland. Description: One of a flock of twenty or so moving quickly over the coastal grass at Clevedon. One of a flock of twenty or so moving quickly over the coastal grass at Clevedon.